"Listen, the sound of PRIMO"
Orchestra Primo was inaugurated in 2011 by the music director Daisuke Nagamine, having the Kansai Amateur Orchestra and the members of the student orchestra he played with at it’s core. Since the first concert in February 2012,it have been active in various forms, playing ambitious selection of music that do not enter an usual classical music program, Beethoven’s “the ninth” with choir, or giving lectures and public rehearsals, with an once a half year pace. After a short pause from the fifth concert, in April 2016, it reopened with a Beethoven program having invited the solo concert master of Kanagawa Philharmonic Orchestra, Ishida Yasunao. Daisuke Nagamine was born in Chiba Prefecture, Japan, in 1977. After studying at Senzoku Gakuen College of Music, he continued his training at the University of Music Franz Liszt Weimar, and the Mecklenburg-Vorpommern State Theatre. In 2008, he was invited as a guest conductor at the Festival Eleazar de Carvalho, Brazil, where he earned acclaim as conductor of a concert for the 100th anniversary of Japan-Brazil immigration. Nagamine has appeared as guest conductor with numerous orchestras including the Osaka Symphony, Gunma Symphony, New Japan Philharmonic, Sendai Philharmonic, Nagoya Philharmonic, Japan Philharmonic, Hyogo PAC Orchestra, and Yamagata Symphony. 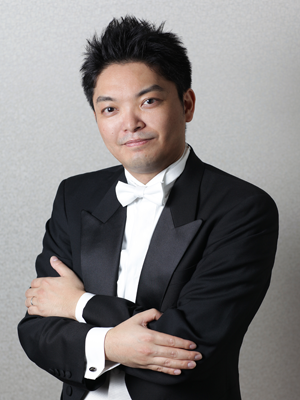 From 2012 to 2015, as Assistant Conductor of the Kanagawa Philharmonic Orchestra, he conducted over 20 concerts a year. In the 2015/16 season he steadily added to his list of achievements, including in his role as assistant to Paavo Jarvi, Chief Conductor of the NHK Symphony Orchestra. Copyright 2018 Orchestra I. All Rights Reserved.